One of the hardest challenges for parents is raising a well-mannered child. Getting them to listen is already a headache for most parents, much more disciplining a disobedient child. From time immemorial, children disobey the desires of their parents. Studies reveal that this is a part of growing up, learning and discovering their own selves and expressing their independence. As they try to explore more independent knowledge and come in conflict with their parents, they realize the limitations of their parents' rules and their own self-will. Disobedience can have an array of causes. Sometimes, it is because of too much expectation of the part of the parents. Or it may also be due to pressure from peers, school problems, or in relation to the child's personality. Evaluate your family. If you have a disobedient child, try to check the likely sources of his defiance. If this continues into middle childhood, a deeper evaluation on your family might be needed. There may be problems in the family, conflicts with siblings or even simple disagreements that may have caused his shift of actions. Another way is to let him know that you noticed a change in his behavior and you are willing to listen and talk about this. This may encourage him to open up his frustrations to you and may be a big help in changing his behavior. Show a positive response when the child opens up. Most parents will just throw their hands up and say that they have a disobedient child. Others will try to use a more familiar approach, punishing their children on every rebellious act and refusal to listen, hoping this might get their attention. Losing your temper on your child's talking back will only impart fear in him but not gain his obedience and respect. In contrast, your child will become more submissive when you keep cool and consistent. He will give you the respect you deserve if you make him feel that you are also respectful toward him. Compliment him on every good behavior he shows and reward him if you get what you want from him. These optimistic efforts will always be much more appreciated than punishment. Seek professional help when needed. Getting professional mental health treatment for some disobedient children might be needed especially when a child's disobedience comes with violence and destructive behavior. When a child shows suicidal tendencies or when his being disrespectful of authority both in school and at home becomes habitual, seeking professional help is not only recommended but very essential. By coping with and providing solutions to these problems at a tender age, you can minimize and even avoid more serious struggles that may emerge as your children grow older. Remember that no one knows your child better than you do. The idea here is early detection and treatment. Toddlers' growing stage starts from 12 months. Everything to them is something new and they are curious. Correct and proper teaching allows them to learn faster and easier. If you mislead your toddlers when they are young, it would be difficult when you want to correct later. So why not start educating them now? It is never too early to start education. Every word that you say or every action that you do will be remembered and followed. You can teach those 2 simple ones; Please and Thank You. Example, when you want your toddler to give you something, you can point on the object and say please. And when the object is given to you, say thank you. When you are angry, remember not to say any harsh words in front of your toddler. Learning colours can be fun! Gather some coloured toys or balls to play with. Pick a toy and ask your toddler to name the colour but he/she can't answer, tell them the right answer. Repeat the process until your toddler can recognize colours. Proper walking steps are a must to avoid body structure changes. When your toddler starts to crawl, help him/her up to a standing position. Help him/her walk by holding hands. Make sure that your toddler doesn't hunchback when walking. If toddlers are taught to eat at the right time, they won't ask for in between snacks unless they are really hungry. Teach toddlers to sleep early and make sure they have enough of sleep. They may have short naps in the afternoon. You may need bottles of milk, pacifier; not recommended, storytelling, and whatever you can think of. When toddlers are sound asleep, parents can have a good night sleep too. Putting toys back into the right place will lead to tidiness when they grow up. Interest Learning Centers are areas set up within the classroom that have a specific focus that encourage children to participate in the focus of that area. The purpose or goal of an Interest Center is to allow children to learn in the ways they learn best: through play! Think about your car's clock. No, not as an Interest Learning Center but as an example of hands-on learning! If the time is wrong (due to daylight savings time changes or recent work being done on your car that reset the clock), do you know how to fix it? I did not know how to change the time setting in my car's clock. A friend of mine would did and he showed me how while saying "You press this, then use this to change the hour and this to change the minutes and then set it by pressing this twice." Now, although I watched him do this and listened to his instruction, the next time I needed to fix the car, I could not do it! What helped me was when I contacted him and asked him to give me the instructions again but this time, to let me do each step. Now, I can do it on my own. It sometimes takes a one or two attempts to get it right, but I remember. Multiple goals or concepts can be learned through the various interest learning centers. Preschoolers' language and literacy skills improve not only in the Library Area by reading or being read to and using flannel boards to retell stories, but also in the Dramatic Play Center where they draw and read menus at their restaurant or read recipes to cook for their children! Materials available in each Interest Learning Center should be changed occasionally so that children have access to a variety of materials over time. Often, the materials are changed to reflect the current theme being used in the classroom. It is important to clean and sanitize the materials after they have been out for use to kill any germs or bacteria. Soak the materials in warm soapy water, rinse, spray with a solution of 1 tbsp. bleach to 1 quart of water, let air dry and then store away until next time. (Also, prior to putting new materials out, check the CPSC website to be sure that item has not been recalled for safety issues). Which interest learning centers should you set up in your classroom? Great question! Art Center, Blocks Center, Cooking Center, Dramatic Play Center, Library Area, Math/Manipulative Area, Music Center, Sand and Water Table (also called Sensory Table), Science/Discovery Center and a Writing Center. Providing these interest learning centers in your classroom will help your preschool children's growth, development and learning! As adults we read all the time; if not books, then emails, information on the internet, road signs, business letters and documentation. Learning how to read is vital for your child's success at school, and printable preschool worksheets can be a big help. When your child is first introduced to the letters of the alphabet, those letters are usually related to pictures of items that start with that letter. You will find 'Annie Apple', 'David Dolphin' and similar terms used throughout the world to introduce children to sounds and letters. Unless you're artistic and can draw, printable worksheets may be an easier solution - and generally more affordable than a book. As your child learns sounds, they will also learn to recognize the letters of the alphabet. A great way to teach this is with a printable worksheet that shows the letter, a picture, and the 'name' of the letter - like Annie Apple! While your child is still learning to recognize the letters of the alphabet, you can use pictures (or the actual item) to help them practise their sounds. Find pictures of a bird, a ball, a bat, a bath, a book, and so forth to practice the letter 'b'. Choose a letter for the day and encourage your child to find items that start with that letter around the house. Printable worksheets should have nice exercises for this as well. A 'Sound Treasure Hunt' will have your child gathering items around the house all starting with the same letter - and of course there has to be some 'treasure' at the end of the game, so be prepared! 'I spy with my little eye' is another great game if you use sounds instead of the names of letters, and it can be played anywhere. and learn how to enjoy it too. Remember that reading is not only used to read novels. Your child will have to read instructions, worksheets, text books and test papers for a long time. The better they can read, the better their comprehension will be, and the better their test scores will be too. A comprehensive set of printable preschool worksheets will cover the basic skills your child needs so they can start school with confidence. A child's brain grows at a mind-blowing pace from the ages of 2 to 6 years old. If you child is entering kindergarten at 5 years old, you could be throwing 3 years of education out the window! Not to say that learning at home is a great disadvantage compared to preschool; but specialized education geared toward kindergarten can do wonders when your child reaches the age of 5. 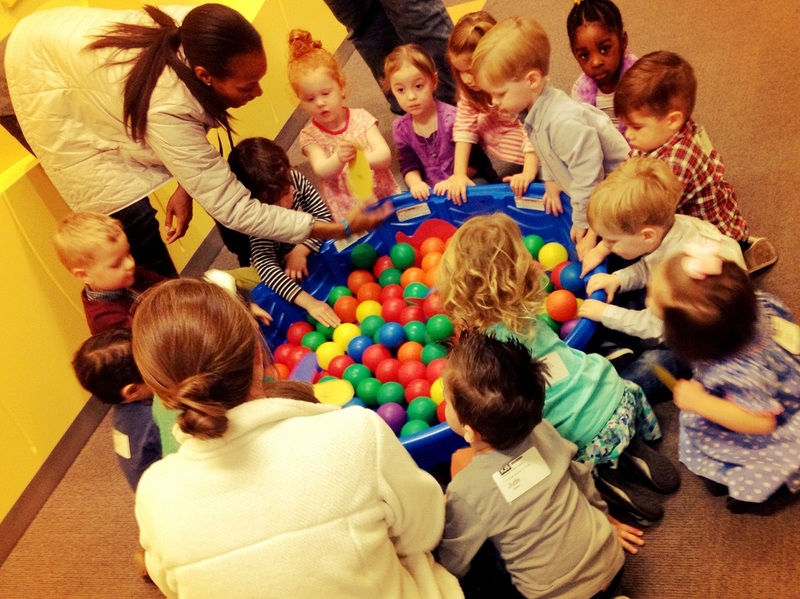 And even sometimes, a regular preschool just doesn't cut it for every child. In history, many preschools have focused on the main things children need to learn before entering kindergarten: how to listen, be quiet, and how to learn the same thing that all the other children are learning at the same time. For some, this format works okay. Inevitably, there are confidence issues as well as some children being more advanced than others. Many times, these children become disruptive and are labeled as troublesome. According to many childhood experts, if you appropriately challenge a child and allow them to advance at their own pace, they become very motivated and independently challenge themselves. A child is like a sponge, and the younger they are, the easier it is for them to grow and excel. It is a fulfilling experience to witness your child's self-confidence and skills skyrocket as they achieve success. So it is important to assess your child's standing across the board to decide where your child belongs. For my son, regular preschool labeled him a disruption; while I noticed that boredom was the reason he began acting out during quiet times, and talking during listening times. I enrolled him in a Montessori school where he was able to challenge himself appropriately. Within a week, my 4 year old wrote his first and last name without help! At these specialty schools, children are doing things at their own pace and succeeding! During the day, they participate in yoga, learn manners and virtues, and recite the 50 states. When I pick up my son, he is raving about the fun he had at school while he blows me away with his new knowledge. It is important to know exactly what activities and subjects a preschool offers when searching for your child. A wider variety of subjects, the better: math, language arts, Spanish, sign language, yoga, science, geography, zoology. There are so many more, but these are the subjects I found most important in my son's school. I found that if children like my son are stuck in the classroom during the full school day, they zone out and lose the educational experience. At the Montessori schools, they treat children like individuals instead of a herd of cattle, and that is what made the difference in my child's education. Dental hygiene is incredibly important, as we all know. There is nothing more dazzling on the human body than a gorgeous set of pearly whites. If you want your kids to have these pearly whites, though, you will need to get them on the right track as far as dental hygiene is concerned as early as possible. While you obviously cannot teach an infant or toddler proper hygiene, you can actually begin teaching them these valuable concepts during preschool. Here are a few preschool activities you can do for children to teach them about dental care. Take construction paper and cut out basic shapes representing dental care, such as a tooth, a toothbrush, a sparkle (basically a star design), and any other object you may want to include. Then, put the items in a pile and let your children pick out the proper items and put them in the proper order. For example, you can have a paper tube of toothpaste that they would pick and "use" on the toothbrush. They can then brush the tooth with the toothbrush. When they are finished, congratulate them, tell them that the tooth is "clean", and put the sparkle on it to show them. This is a good hands-on activity to introduce them to dental care. 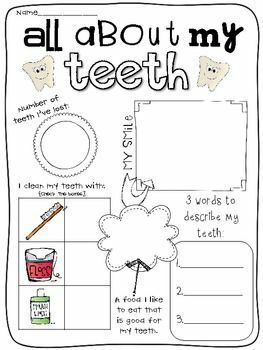 Take some construction paper and perhaps a scrapbook and make a story about dental care to show your children. Use basic shapes and lots of color to keep your kids interest, and tell the story in an engaging manner while encouraging them to participate. For example, you can make the main character a tooth and have him travel with his friends (a toothbrush, floss, etc.). Gather the preschool group around and tell them that they are going to learn about teeth. Then, do charades that represent the steps of brushing the teeth. You can start off by saying something like, "Everyone point to their teeth!" They will then point to their teeth. Then, pretend you are picking up a toothbrush and get them to do the same. Then, apply toothpaste and "brush" your teeth. They will follow along and get into the process (as well as stay entertained throughout). These are just a few examples of preschool activities you can use to teach your preschool kids about dental care. The limit is really on your own imagination. Just know that preschool children, on a whole, are old enough to start learning about dental care and the responsibility that comes with it, even if they may not be old enough to do it on their own. Good luck! The preschool years are the perfect time to introduce your child to the wonders of science though small and easy activities and games. Since everything at this age seems wondrous and breathtaking, you won’t have trouble getting your child to sit still, and take part in science activities that teach her about actions and reactions. Let her use a block of margarine to scribble on a sheet of paper. Splash some water on the paper. The part with the margarine on it won’t get wet – the water will slip right off. Explain to her why this happens, that oil and water never mix. Show her more examples of this – mix cooking oil and water together, and show her the result. Point out gasoline layers on puddles of water. Let her hold a candle like a crayon, and draw on a piece of paper. To reveal what she has drawn, let her paint the page. She can also use potato juice or lemon juice for the same effect. Explain the concept of invisible ink. Use gardening and plants to explain the concept of photosynthesis. Place two pots of plants in two separate locations – one in a dark closet, and one in the sunlight. Water both equally, and observe the difference in the two plants after a few days. Drop a few seeds in a cup full of soil, and cover with plastic. Keep in a sunny area. Monitor the progress of the seeds as they begin to sprout. Play with your shadows. Switch off the lights, light a candle and make animal shadows on the wall. Compare your own shadows on the walls. Point out your shadows in the daytime and at different times of the day. Science is actually more interesting to many preschoolers than learning counting or the alphabet. The results are always so astounding, and magical to little eyes.